Leishmaniasis dates as far back as the first century AD. Incan pottery of this period depicts skin lesions and deformities that are typical presentations of this disease. Yet, despite its history, many pet guardians have never heard of the disease. It’s found on every continent except Australia and Antarctica. According to the CDC “Overall, infection in people is caused by more than 20 species (types) of Leishmania parasites, which are spread by about 30 species of phlebotomine sand flies." Are dogs at risk of Leishmaniasis? Most dogs that are infected may never develop the disease or clinical signs, but the most common clinical sign is skin lesions1. 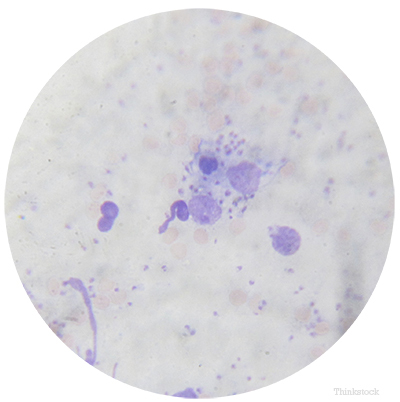 Is Leishmaniasis treatable in dogs? Treatments that have been used are not commonly available in the US or are toxic to dogs. Treatment is often only partly successful since it often does not eliminate the parasites. Treated dogs can remain carriers of infection and may relapse. They also remain infectious to sand flies2. Is Leishmaniasis contagious from dogs to humans? Humans can be infected by the causative bacteria via the same sand flies. Humans respond better to treatment than dogs do, but untreated cases are generally fatal. How can Leishmania infection be prevented? Since the primary vector is sand flies, control and avoidance of these insects is important. Use of insect repellents may help. Elimination of infected dogs from an infected kennel has been advocated and may prevent the establishment of a large population of infected dogs. 1. "Canine Leishmaniasis (Canine Leishmaniosis)." CAPC Vet. Web. 13 Oct. 2014. 2. "Overview of Leishmaniosis." Merck Veterinary Manual. Web. 13 Oct. 2014.